Below are the results of the second survery of the Awakening Project. 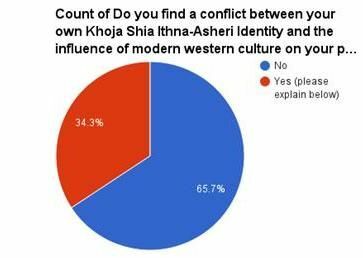 The survey was conducted in August 2015 order to analyse Khoja Shi'a Ithna Asheri identity, particularly in the face of modern challenges. 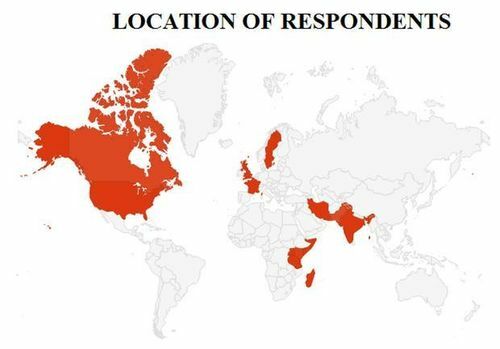 Almost 200 people took part in the survey from KSIM communities all over the world. There were three parts to the questionnaire. The first part asked about a person's background. The second part asked about cultural and identity issues. Finally, part three allowed people to write their suggestions and critical comments about preserving KSIM identity. Analysis of people's comments (which were many) is still in progress. The Awakening Project would like to thank all those who took part and a special thanks to the youths of KSIM Birmingham Jamaat for creating the survey. Q4) How important on a scale of 1-5 is your own language? 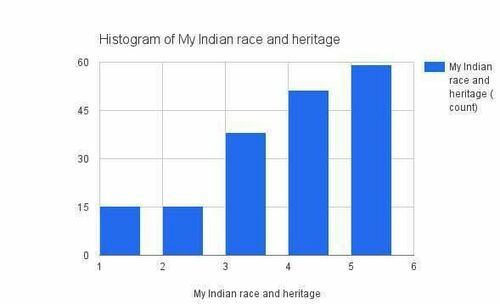 Q5) How important on a scale of 1-5 is your Indian race and heritage? 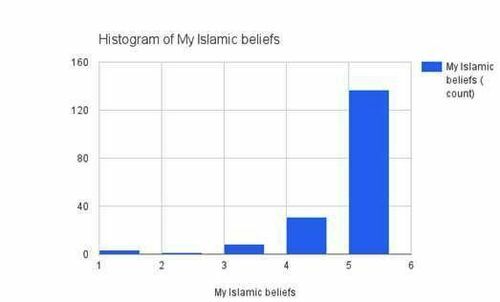 Q6) How important on a scale of 1-5 is are your Islamic beliefs? Q7) How important on a scale of 1-5 is your love for the KSIM community? 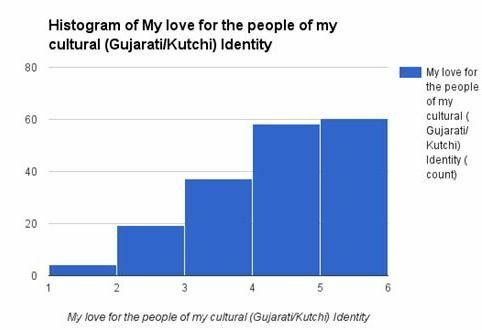 Q8) How important on a scale of 1-5 is the people of your own (e.g Gujarati/Kutchi) culture? 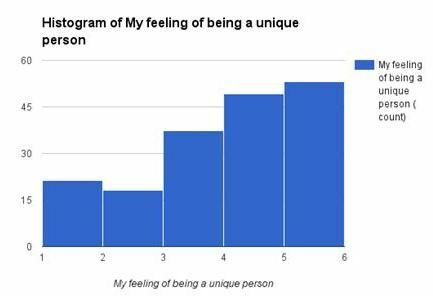 Q9) How important on a scale of 1-5 is the importance of being a unique person? 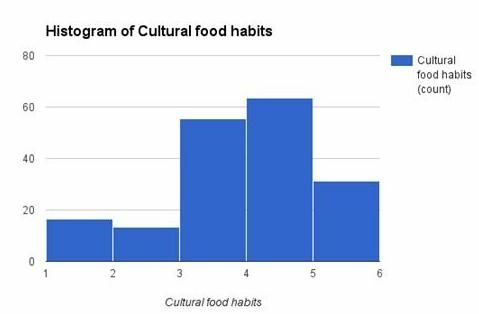 Q10) How important on a scale of 1-5 is eating food of your own culture? Q11) How important on a scale of 1-5 is marrying early and having a big family? Q12) How important on a scale of 1-5 is watching TV/browsing the internet as opposed to spending time with family members and elders? Q13) Do you find a conflict between your Khoja Shi'a Ithna Asheri Muslim identity and the influence of modern Western culture? The results are extremely positive in support for the preservation of KSIM identity and heritage. 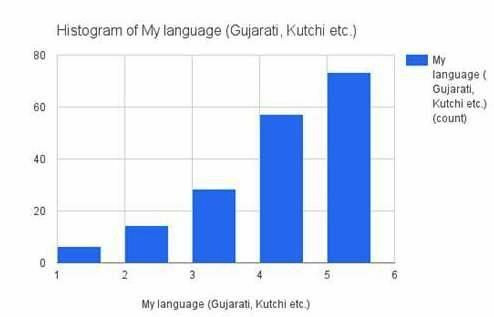 Most respondents rated their own language, Gujarati, on a scale of 4 to 5 meaning very important and most important respectively. This was along with valuing their own Indian heritage which was rated much higher from a rising scale of 3 to 5 – 3 being reasonably important to 5 being most important. These results were further substantiated by the respondents’ overwhelming love for their own KSIM community – second only to the importance they attached to Islamic beliefs. Even the need to interact with people of their own cultural and racial origin and eating their own type of food was regarded highly – again rising from a scale of 3 to 5. Unsurprisingly, a huge majority rated the importance of their Islamic beliefs as 4 or 5. 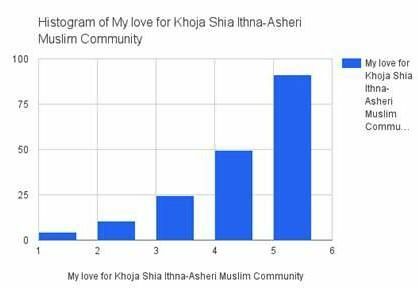 What these initial results show is a fundamental connection amongst respondents, male or female, with the language, culture and community of their Khoja origin. 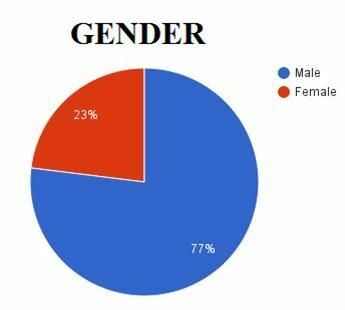 Despite this, other statistics are a cause for deep reflection, concern and further investigation. 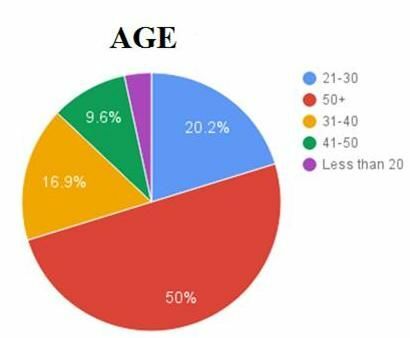 76.5% of respondents were aged 31 years and over with 50% aged 50 years or over, 9.6% aged 41-50 years and 16.9% aged 31-40. These demographics show that people above the age of 30 took the survey and arguably their own identity seriously. Digging deeper, it was the 50 years and over group that participated the most indicating the natural yearning by elders of the KSIM community to preserve and understand their heritage. It is intriguing that the 31-40 age group took more interest in this survey than the 41-50 age group. It is possible to deduce that the 31-40 age group are realising the difficulty of passing on their Khoja heritage to their children or are attempting to define their Khoja identity amidst modernity. In comparison to the 50 years and over group, the participation in the survey by people aged 31-50 year of age is somewhat low. Whatever the case, the 31-40 age group would represent young to middle-aged individuals or families that may be involved in Khoja communal activities as well as their own professional and personal lives but may not consider the issue for their identity to be so crucial. What is more important is that only 20.2% of respondents were aged 21-30 years meaning that the question of KSIM identity was not hugely important to them. The number, however, still shows that a notable minority of youths are thinking about their heritage and the challenges to come. It is also important to take note that in the questions about love for one’s community, language and interaction with community members, a notable minority do not consider these issues to be either reasonably, very or most important. It shows that a key group within the Khoja community, albeit small at this stage, does not consider its own language and culture to play a defining role in its existence. I would argue in light of Taylor’s comments on modernity, this group is rising and we may see a rising percentage of people that feel less connected to their own KSIM community. It is also perhaps slightly worrying to see a few people considered their Islamic beliefs to be least important – substantiating the creeping trend of secularity within religious communities. 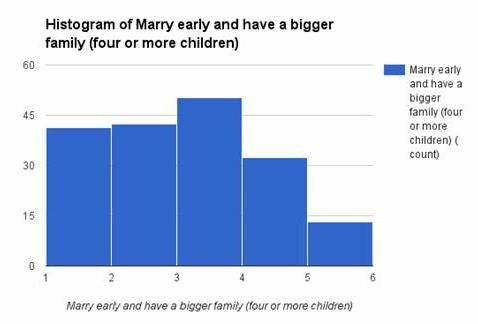 Moving on towards the issue of marriage, majority of respondents stated that it was less important to marry early and have a family of four children or more. That is why many rated this question on a scale of 1 to 3 – 1 being least important and 3 being reasonably important. This shows a drastic shift in the marital culture of the previous generation which was to marry early and perhaps have 4 children or more and the current generation (and even the thinking of current elders) who does not consider early marriage and more children to be important. It is possible to interpret this change in light of the emphasis placed in modern culture of being a ‘high-flyer’ and securing financial and material security first before marital and personal happiness. Thus young people give priority to their careers first rather than marrying early. At the same time, less people marrying earlier may simply mean this is a tradition or custom which is out of touch with a young person’s view of marriage and finding a partner. Perhaps a younger person wants to become mature, explore life and have some financial security before making such a life commitment. With regards to having more children, we may deduce that both the husband and wife working means little time for raising a large family. The demands placed on professional life, school and house expenses means it is simply unaffordable to have 4 or more children. Moreover, in East-Africa, one could hire maids to help with cooking and raising children – this is not possible in the West. Therefore, economic and cultural realities appear to have taken precedence here. Watching TV and browsing the internet was an intriguing statistic showing just how much technology plays a role our lives today. Although a number of respondents considered watching TV as opposed to spending time with family and elders as least important or not that important there were still a fairly equal number of respondents who rated watching TV and internet browsing from a scale of 3 to 5 – 3 being reasonably important to 5 being most important. 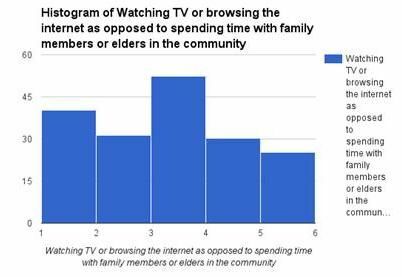 This means a reasonable percentage consider watching TV as more important than time with family and elders. This may mean that either family members are accepting of these trends and prefer private time away from each other; or individual family members value their own time more or we are seeing a real conflict here between traditional family values and a modern technological household. My judgement is the latter – I believe we are entering into an age of living together as individual members as opposed to living together as family members. The final statistic is extremely revealing. 34.3% of respondents believe they are facing a conflict between their KSIM identity and modern Western culture. This number cannot be ignored – it shows that a key percentage of our community members are facing either a spiritual, cultural, religious and/or moral conflict in the very way they live and function as human beings. Although 65.7% of respondents did not consider there to be any conflict, it remains to be seen in coming years whether this percentage drops in the faces of increased moral and technological challenges. In total, there have been 11610 visitors (33269 hits) on this page!